Considering buying a new car? Here’s some insider advice to help ensure you get the best possible deal on your new baby. Buying a new car is exciting - but it can also be very confusing if you’re not sure what to expect. There’s loads of myths and misinformation around buying a car and unless you’re a well-seasoned buyer these can get in the way of you getting the best possible deal. The following list of surprising car facts should clear up any misconceptions or concerns you may have around purchasing your dream car. A car is a big ticket item (like a house) and shouldn’t be an impulse buy. Before making your decision, ask yourself what you need from a car. If you have any special needs, you need to be even more informed. This is especially true for parents with young kids who need features like isofix or outdoors people who are trying to choose between a 4X4 or crossover. Read car reviews, and check Facebook pages and Google for reviews from clients - those are true representations of the brand. See how dealers respond to complaints to gauge the level of customer service you’re likely to receive. If you see the brand has 30 five-star reviews with only one negative review, it’s probably a great dealer! Always choose a dealer that’s well-known for its excellent reputation. In fact, most sales staff are just as worried about customers not being upfront and honest. Reputable dealerships are not trying to take you for a ride - so trust them. Even though they may not know everything, give them a chance to help you. Salespeople are not all well informed about their products (you could be dealing with a new starter), so do your own research (as you are now) and be prepared. It’s important to build a relationship with your salesperson so that when you have questions, you have a point of contact at your dealership. You need to feel comfortable with your salesperson. Dealerships keep their prices competitive, so they’re not making the high profit margin you may expect. In fact, dealers make more money on used cars - so if you’re looking to negotiate on price, your dealer has more room to be flexible. so you may strike it lucky and get a great deal - but only if you’re willing to compromise on things like colour. This doesn’t mean that there is anything wrong with these cars but the dealership has possibly ordered too many in a specific colour or model. A dealer can’t afford to put a car on hold for you unless they know you’re going to commit to the purchase. You need to either sign the OTP (offer to purchase)or put down a deposit to reserve a car. Surprising as this may seem, there’s no standard price for optional extras. A reputable dealer will never rip you off, so do your homework and check prices across a number of dealerships if you’re uncertain. (e.g. tow bar, rims or anti-smash-and-grab). You benefit from the accessories as they improve the comfort and functionality of your car, but there’s no added financial benefit when it comes to a trade in. In fact, bad accessories (like a home-installed sound system or lowered suspension) will devalue your car and void your warranty. If you do intend to add optional extras, make sure you get these from your dealer. Your safest bet is to opt for a white car where possible - not only will you pay less for the initial purchase, but your insurance premiums will be lower too. Make sure you drive it around the test drive route, but also ask to take it out and see how it feels on the highway. We spend so much time behind the wheel that you need to be certain the car is fit for purpose and comfortable to drive. (e.g. infotainment system, indicators and so on) before leaving the show room. That way you can address any problems while you’re at the dealership. Just because everyone drives one doesn’t mean it’s a good car. Choose a brand that has a known track record for safety and reliability. 12. Not all manufacturer warranties are equal. If you’re wondering why one brand only offers a three-year warranty while another offers a seven-year warranty, take a good look at the T’s and C’s. Rather take comprehensive three-year warranty over a seven-year limited warranty. 13. Be willing to be flexible. There are so many different brands and models on the market. Don’t set your heart on a car at the very top end of your budget and refuse to look at other cars. This is letting your wants outweigh reality. 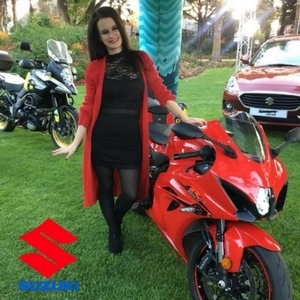 Do your research and find a model that ticks as many boxes on your wishlist as possible, while still falling within an affordable price range. At the end of the day, there’s no point in driving a luxury sports car for six months, only to have it repossessed (along with half your assets) when you can’t afford the monthly instalments. 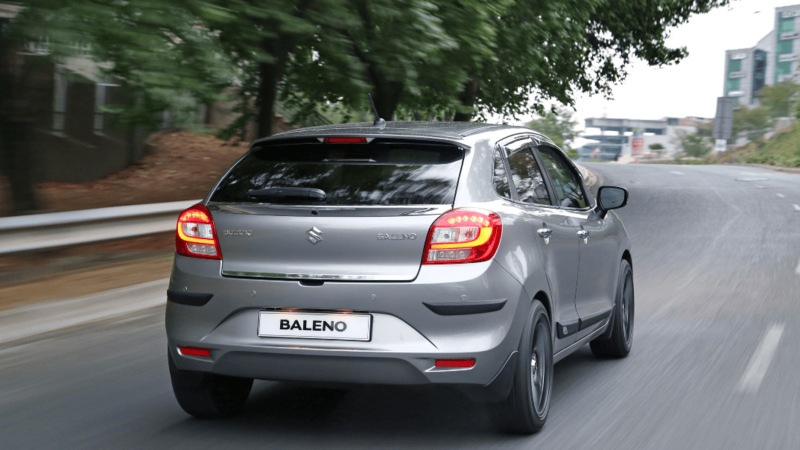 Read how one of our Suzuki customers who had heart heart set on one car, test drove the Baleno and loved it and was convinced to change her mind.. Occasionally a car could actually be cheaper without a trade in. Your car’s trade in value is dependant on how easy the vehicle will be to resell - keep this in mind when purchasing a car. You don’t get a better price on your new car just because you’re paying cash. Dealer finance is actually the best way to buy a car. A private banker gives you a set fee and a cash sale has no wiggle room for bargaining. Your dealer, on the other hand, has access to multiple banks - helping you secure the lowest interest rate. Your dealer negotiates on your behalf and, because they make commission, your finance deal can be negotiated more than a cash deal. Having a credit history and a good credit score is vital when applying for car finance. If you’re an 18 year old with no credit history, you may not be able to get finance even if you’re able to afford the monthly instalments (or you could get a much higher interest rate). The best way to build up a credit history is to get a clothing account, make a small purchase and pay it off over a few months. Once you’ve built a credit score, you can apply for car finance. Read our post on How to improve your credit rating to help you get your finance approved. Don’t feel bad if you’re not paying cash for your car - not many people do. While the benefit of paying cash is that you don’t pay interest, taking out a personal loan to pay cash for your car is pointless. This doubles your interest rate. Rather look at a residual or balloon payment if you need to. Like everything, a balloon payment has its place - and it can be a handy option for people who can’t afford to go the traditional finance route. The idea of residual payments being a scary prospect you’re warned to avoid at all costs, is a myth. If you want a specific car and you intend to keep for at least five years (doing approximately 15 000 km per year), a residual payment will benefit you. When you do eventually need to pay the balloon amount, you can either refinance the vehicle (if you’re going to continue driving it), pay off the balloon amount in a lump sum or trade in and settle the amount. Whether you’re paying cash or opting for finance, a dealer handling fee is charged on every purchase. This covers everything including the vehicle registration, licensing fees, and road-worthiness testing (pre-delivery inspection). This doesn’t come standard as part of the car price, so you need to allow for these costs in your budget. However, the total handling fee shouldn’t be more than about R 5000. Want some more insider tips to help you get the best possible deal on your car? Download our guide, Questions to ask your dealer, and take it with you to your dealership to ensure you don’t forget to ask any important questions. Don’t miss out on our latest driving tips and safety advice. Subscribe to the Suzuki blog, and you’ll receive our latest content straight to your inbox.